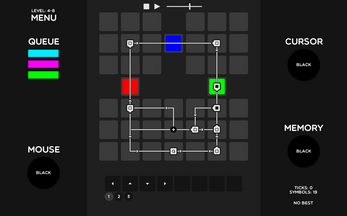 Prismaticka is a spacial programming game, inspired by SpaceChem. 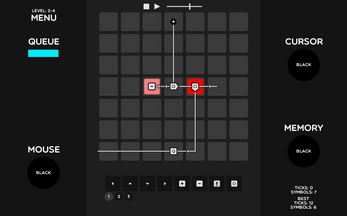 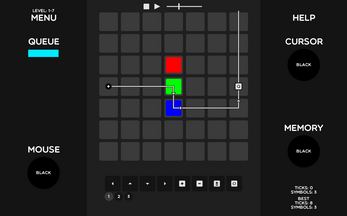 Complete puzzles by guiding a cursor around a grid via instructions, trying to produce specific colors through mixing. 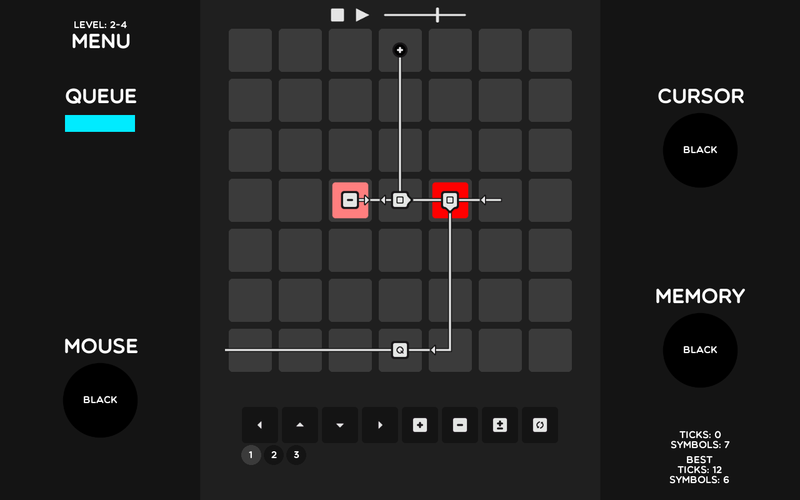 Levels start out simple, but become very complex by the end. 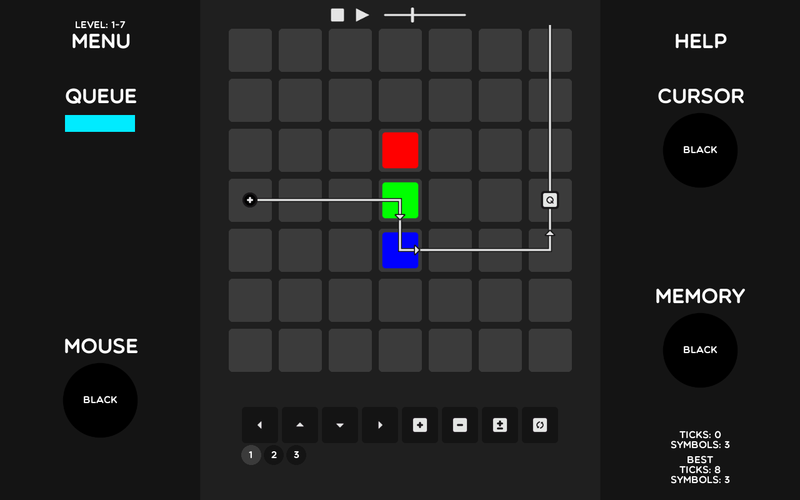 The source code for this game has gone missing, so some features are incomplete or missing. 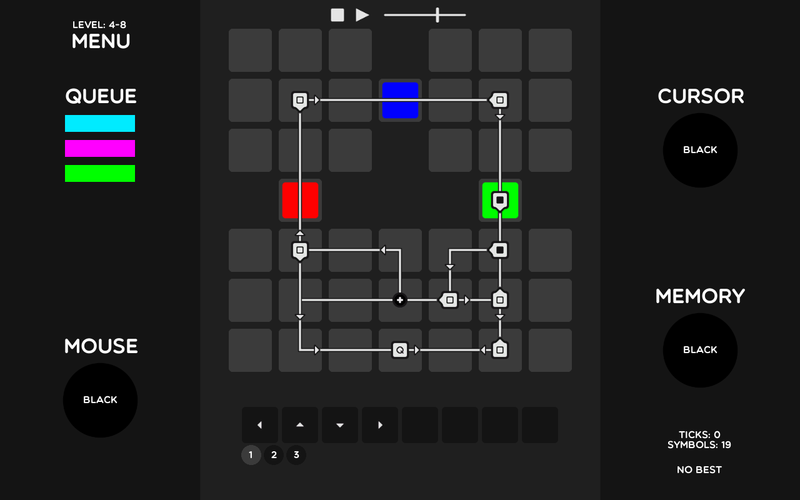 There are also a few bugs (like levels sometimes not loading), but the core game functions as you'd expect.